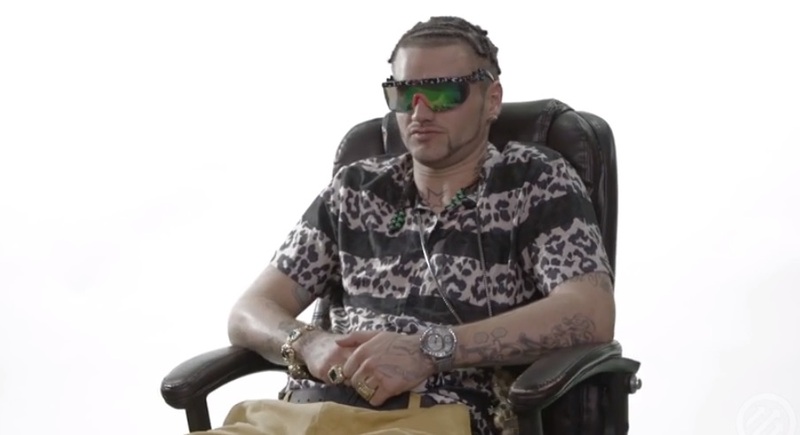 Riff Raff sits down with Pitchfork for a painfully awkward interview for their latest episode of “Over/Under.” Having a number of random topics brought to his attention, Riff Raff struggles to maintain his attitude behind the camera while answering questions about shrimp, Minnesota, police, voodoo, adoption, video games and much more. Take a look as the eccentric rapper also explains to viewers why he no longer freestyles and his disbelief of global warming. This entry was posted in Interview, Video and tagged hip hop, Interview, over, pitchfork, rap, Riff Raff, under. Bookmark the permalink.